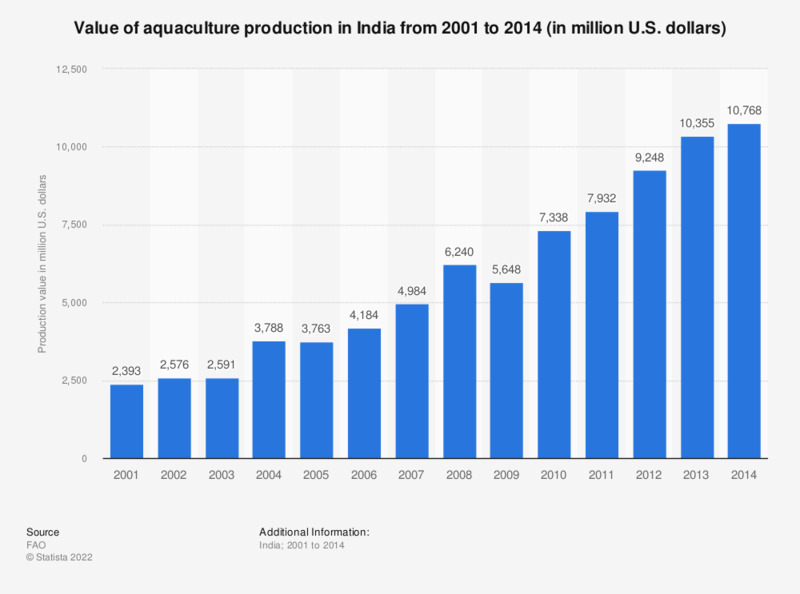 This statistic shows India's aquaculture production value from 2001 to 2014. In 2001, production value of Indian aquacultures came to almost 2.4 billion U.S. dollars. * Aquaculture production of fish, crustaceans, molluscs, etc. All figures are rounded.